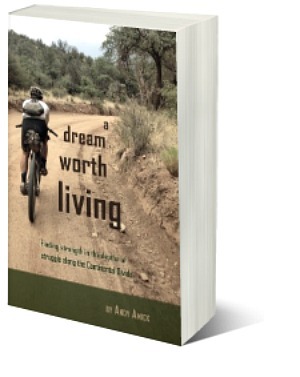 You can now buy the paperback version of A Dream Worth Living directly from Amazon for the low, low price of $11.99. The book is available for free Prime shipping, but there is some additional time required for the on-demand printing of the book. The paperback version contains a few additional pages of pictures taken throughout the race. If eBooks are more your thing, you can still snag it for only $0.99. For those of you that have already picked up a copy of the book, thank you so much! I appreciate the support. Hopefully the story is a fun read, but also gives a little insight into how much each of us is capable of achieving. Finally, if you read the book, please take a few moments to leave a review on Amazon and/or Good Reads if you get a chance. I know everyone says that for their book, podcast, etc. But the reviews are helpful for other readers, and also factor into how Amazon ranks books.